Five Best Wildlife Sanctuaries and National Parks in India – India has a very rich and diverse wildlife and is home to a number of Wildlife conservation parks and sanctuaries which are home to some of the most treasured, beautiful and exotic animals and birds in the world. 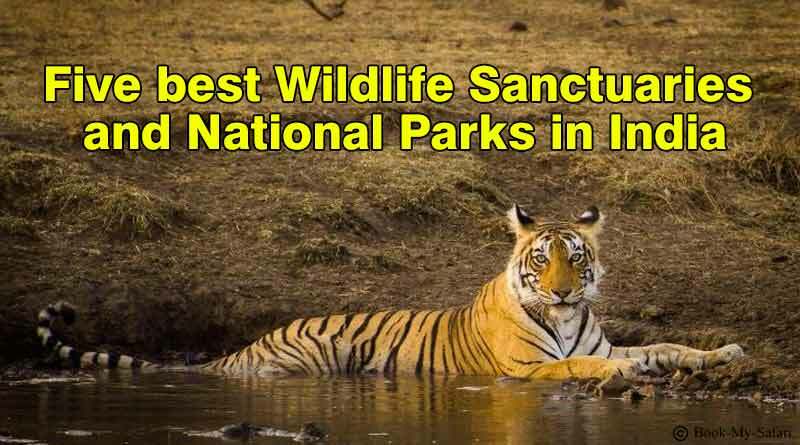 Tentaran provides you with detailed information on the Top five wildlife sanctuaries and national parks in India, that have been established all over India with the objective of securing the future of species by conserving them in their natural habitat. Previously a famous hunting ground for kings, it is today a wildlife conservation park spread over a massive area. Its home to a variety of species owing to many waterholes on the land and is famous for tiger and bird watching tours. Open from October to June. Morning trip is from 6:30-10 am and the evening one is from 2:30-6 pm. 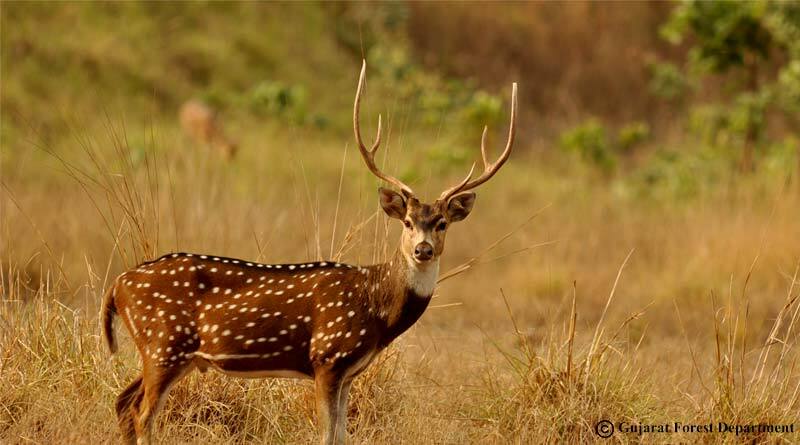 Sprawling over 447 sq.kms, the park is famous for Royal Bengal Tiger, panthers and deer. 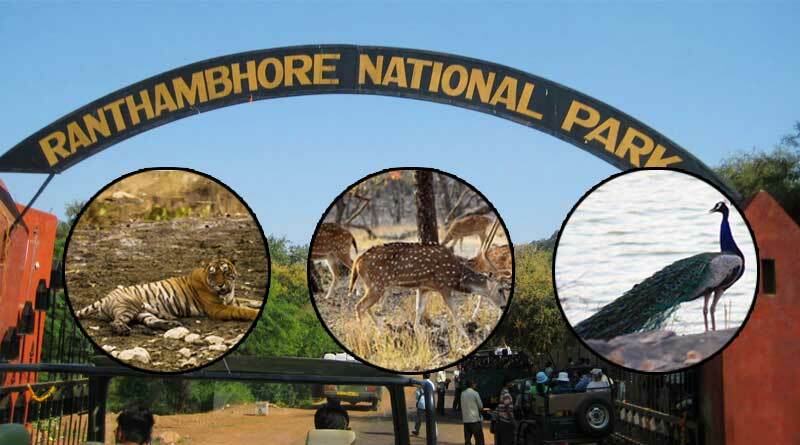 One of the most popular national parks in the country it has the Bandhavgarh hill right in the centre of the park. 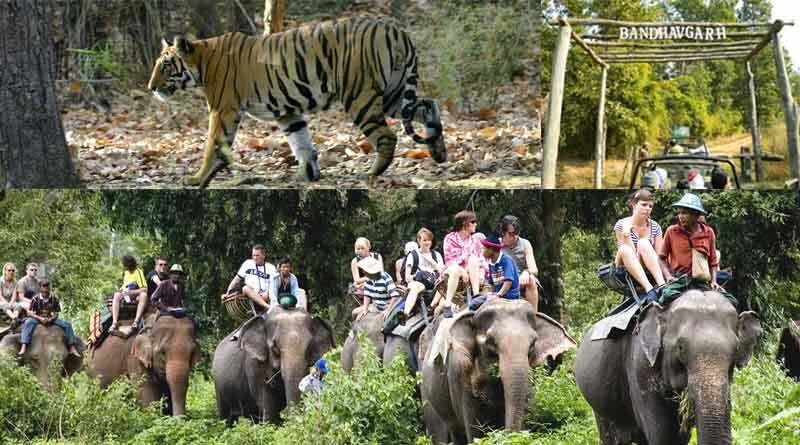 This tiger reserve is encircled by a group of 32 hills with the Bandhavgarh fort another major attraction of the park. Best time to visit is between November to February. 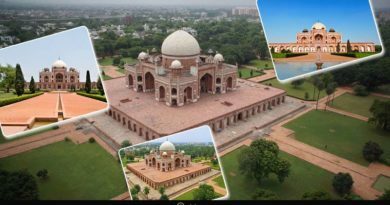 You can take jeep and elephant safaris taking you on a complete tour of the park on which one can drown in the scenic beauty and archaeological richness of the place. November and June make the best months to see Royal Bengal Tigers, Sloth Bear, Himalayan Goral, Elephant, Leopard, and Hyena at the sanctuary. One of India’s largest National Park it covers an area of approximately 520.8 sq. andis home to more than 488 species of fauna and 586 wildlife species. Entry fees are 30 half day and Rs. 50 full day.You can take a Jeep Safari which costs Rs.3500/- for about 2 hours and seats 6 people. Shared jeeps are also available. 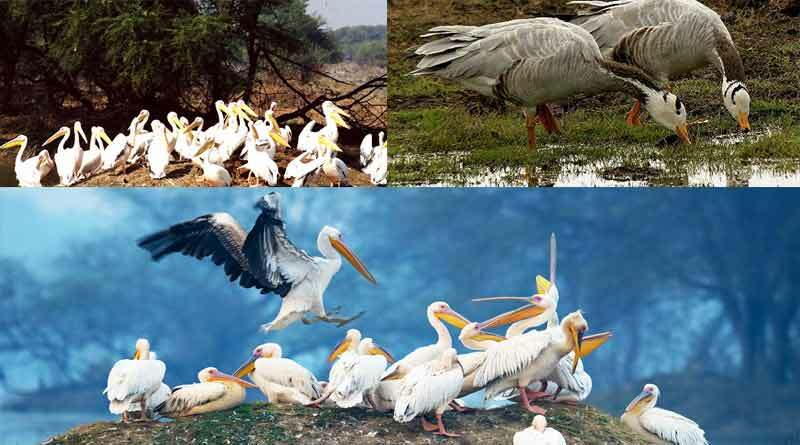 The largest Bird Reserve in India is home to more than 230 resident and migratory bird species. October-March are the best months to visit with hoards of birds visiting the sanctuary to get shelter from the cold. Was included in UNESCO World Heritage Site list by the year 1985.HousesCranes, Pelicans, Ducks, Flycatchers, Wagtails among others. Early morning or evening boat trips are a must at the park to witness the area in all its glory and indulge in some fun activities. 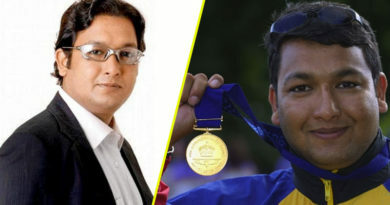 Entry fees are Rs.25 per person. A bike can be hired too. The only home of endangered Asiatic Lion in the world, Gir National Park sees a huge footfall with people flocking from around the world to witness the mighty king.It also houses Leopards, Jackals, and Antelopes. An interpretation zone has been created inside the Park which comprises of all sorts of habitat and wildlife in the park restricted under chained fences. The Kamaleshwar Dam inside the park is another must watch thing. Safari morning timings are from 6-9 am and evening timings are 3-6pm. 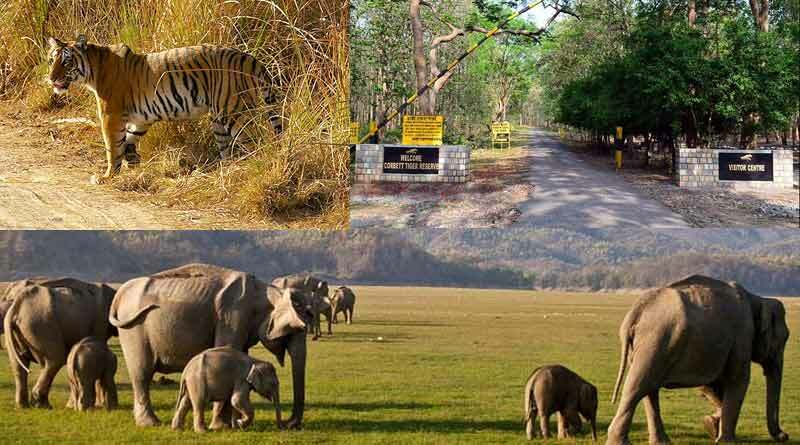 For booking and know more about Five Best Wildlife Sanctuaries and National Parks in India click on book now button.